Natalie Portman plays, to the limit, a ballerina in the thriller, Black Swan. In the movie, the ballet dancer, is both the innocent White Swan and the sensual Black Swan. From anorexia, drugs and the need to wide out impress the audience, ballet dancers in the New York scene undergo different problems, both physical and psychological. This has led to the fall, and even death of many talented artists. Some say the movie is ectasis erotically charged with an edge of magic and suspense. The world of athletes-artists and the real world of professional dancing. The becoming of both characters, the innocence and the underworld of life are all things one can recognize in the mirror and behind it. Going through the world of ballet, Natalie Portman, took things to letter. "It's good to understand what real ballet dancers have to go through,� she said. Natalie Portman committed to the role with long training sessions that prepared her for this movie. In Black Sawn, Nina Sayers undergoes multiple psychotic symptoms. Some critics attribute the disorders to competition. Nina Sayers faces a new coming ballerina, Lily (Mila Kunis), who she believes is out to steal her main role in the �Swan Queen�. Others say that the movie speaks of her inner struggle. One thing is certain when so many different views rise from a movie, the movie itself is working. 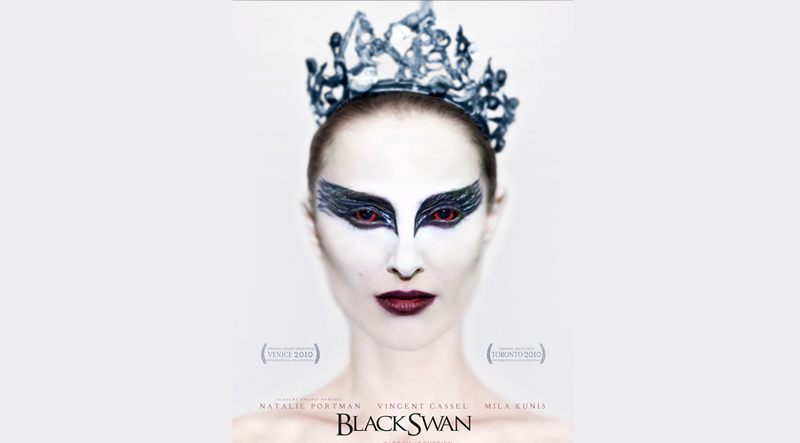 Articles that review Black Swan write the words "Oscar awards" several times. The American film, directed by Darren Aronofsky and described as a psychological horror film, is symbolic in many ways. Riding into a series of hallucinations, the dream-music world of Nina is awaken by physically and emotionally warnings, body signs. Limits and unity. A beautiful once in a life time, Wake-Up-Call. Natalie Portman said it was exciting to hear people debating on their different views on what the movie was about.